London is waiting for you! Take PowerHiking London with you. PowerHiking visited London recently. The spring weather was beautiful and the parks were filled with daffodils. The sun was shining! 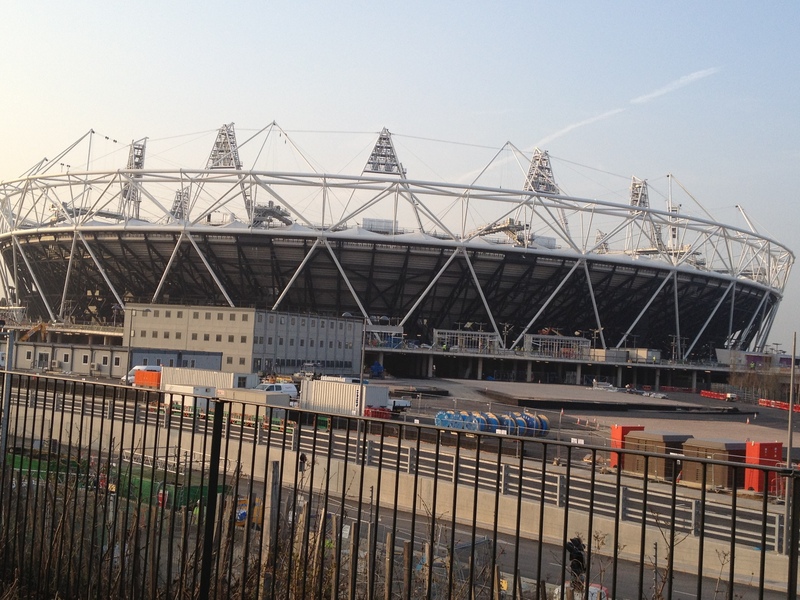 We toured the Olympic venues and they are quite spectacular. London is getting ready and it should be amazing. But before the Olympics they will celebrate the Queen’s Diamond Jubilee. Celebrating 60 years of the reign of Queen Elizabeth, festivities will take place June 2, 3, 4 and 5. The 200 year anniversary of the birth of Charles Dickens is also being celebrated this year. Lots to do and see in London and what an exciting time to visit! Be sure to take PowerHiking London with you for spare time adventures! Visit http://www.powerhiking.com to preview. Enjoy! PowerHiking is proud to support the National Osteoporosis Foundation at a fundraising event at Fort Mason in San Francisco May 1. All PowerHiking books will be available and the featured speaker is Marybeth Bond, travel writer. The walks in PowerHiking are good exercise and a healthy endeavor for your bones. Keep powerhiking and keep healthy bones. Tickets are available online and at the door. See you there! You are currently browsing the Powerhiking's Blog blog archives for April, 2012.